Us Review: A mind bending thriller that leaves you thinking – AiPT! 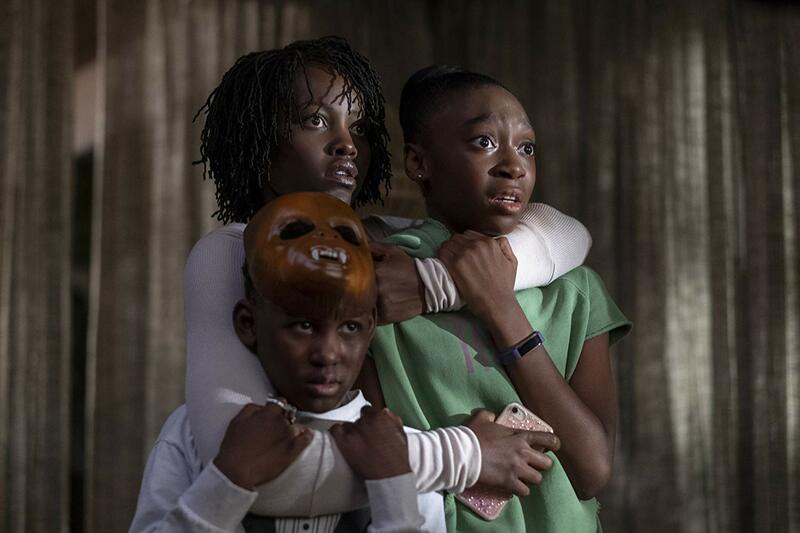 Jordan Peele is now a bona-fide force to be reckoned with in Hollywood. Jordan Peele is now a bona-fide force to be reckoned with in Hollywood. I’m thinking he’s a modern day Hitchcock of sorts. His newest film, Us, is even better than his last film, the acclaimed Get Out. Get Out was smart, inventive, and just an overall well done film. Us is all of those things. I was so mesmerized when the credits rolled, and had a hell of a lot to think about. I’m so excited for more from Jordan Peele, and I hope he continues to improve, if that’s even possible. From the time I first saw the trailer for Us, I was so excited to see what this story was going to end up being about. Obviously there had to be some kind of twisty explanation for why there are copies of these people that want to kill them. I kept throwing around ideas like it’s all in their heads, a metaphor, or something supernatural thing. The actual explanation given is deliciously interesting. But of course no spoilers here; suffice to say, I don’t think you’ll be let down by the reason Peele gives. The plot as a whole is as twisty and curious as the trailers have led on. The beginning is genius in the way it builds suspense and teases, I felt myself tensing up, preparing for whatever the hell was gonna happen. After that initial opening scene, I knew this film was going to be good. I thought: if they can keep me feeling this way the rest of the film this is going to be one to remember. The acting is great all around, every cast member has the chance to showcase their talent by playing these different versions of their characters. While everyone does a great job with it, (shoutout to Elisabeth Moss) no one and I mean no one can hold a candle to Lupita Nyong’o. Nyong’o does a superb job here. I was mesmerized by her presence onscreen. Her portrayal of Adelaide is great, but then her portrayal of Red (the copy of herself) takes it to a whole new level. I was terrified while watching her as Red, from the way she handled her bodily movements to her voice brings goosebumps. While the other copies of the family members are creepy as well, Adelaide’s copy is just something so alarming and disturbing, and the result is a real testament to Lupita’s acting ability. When a certain twist is revealed at the very end, it makes Adelaide’s copy even more creepy which is why in my opinion, that twist works. As the film progresses, we begin to see what these copies are really wanting and what they are planning. This is revealed by images, news coverage, and by certain characters explaining it, and the ways in which these copies demonstrate their existence and purpose is so interesting. It’s all a testament to Peele’s filmmaking because even now as I’m writing this, I just connected something from the beginning that now makes sense. There are breadcrumbs sprinkled in the beginning that will connect by the end, and when they do connect it will make the experience even creepier for you. And hey that is the ultimate goal of a film like this so, yay! Ok so the last really great thing about Us is this final plot twist I’ve hinted at. This twist is really out of the blue and I was like what?? at first, but it fits in with the feeling of the film. It’s really cool and is the main thing this film will leave you pondering. Us is a horror-thriller gem, Peele has now proven that he knows exactly what he’s doing in this genre. I want more films of this type by him because damn, he is a mastermind at this. Do yourself a favor and go see Us for a creepy, twisty good time. 'Us' is a horror-thriller gem. It features incredible acting and a creative plot rife with interesting twists and turns, it's all you could ask for in this genre.